Welcome to Embroidery 'n Things, a custom embroidery shop in to	help you meet your every need. Our mission is to see everyone wearing embroidery that shows the things they are passionate about. Our vision is to see all business displaying their logo to be more visible to their customers and potential customers, thus making them more profitable. 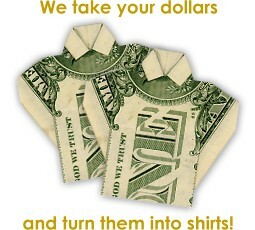 Come see us in Greenwood, Indiana...we will take your dollars and turn them into shirts (or whatever else you may need).